I’m an aspie. There, I said it. It was on the 16th November 2010, at 1.05pm, when I was diagnosed with Asperger’s syndrome. It was a life-changing moment, but also a (albeit, harrowing) confirmation of a long-held suspicion, and not a surprise. They wouldn’t last five minutes inside my head. From the age of three I’ve known I was different, and that I didn’t want to be. As I grew up, I studied body language, facial expression, tone of voice, and everything else that goes along with ‘being normal’. I convinced myself that if I just worked at it hard enough, I could be like everyone else. I got quite good, didn’t I? The trouble is, the more skilled I became at pretending (which is all it could ever be), the more people expected me to behave ‘normally’. As I mastered increasingly subtle ways of interacting (you lot have no idea how complex a conversation is, and on how many levels), it became harder and harder for me to keep up. I became exhausted. Long term, chronically tired. Which is why I finally had to know. Knowing is good, of course – it has to be – but, remembering that I’ve dedicated my whole life to being accepted into your world, having the door slammed and locked in my face is… well, it’s been a bit upsetting. I’m calmer now, and can forgive myself for so many things: I’m not a failure; I’m not a crybaby; I’m not a fusspot; I’m not rude or uncaring, a stubborn little madam, or any one of a myriad of confidence-destroying labels. I’m an aspie. Learning all about what makes an aspie is like a homecoming, and reading Tony Attwood’s Complete Guide to Asperger’s Syndrome, is like reading a Haynes manual for Being Me. I wish I’d read it thirty years ago. I wish my parents and teachers had read it… Anyway, I’ve decided. I’d rather be a happy aspie, than an miserable impostor. So when I talk to much, don’t get your jokes, object to being teased, want the music turned down, wander off by myself, or whatever… please understand I’m not being awkward, I’m being me. I hope you’re okay with that. I recently discovered that I might be on the spectrum. My closest friend – an aspie male told me that he thought I had ASP. After a lot of discussions and taking a lot of tests, I believe that I am ready to be formally diagnosed. It is a very difficult society to live in here since gender roles are established from birth. As a female aspie, growing up was extremely difficult. I never fit in and really disliked people. Socially, I have been accused several times of committing major faux pas and in hindsight, I now understand some of those missteps. I am very inspired by your blog and so incredibly thankful that there are others like me and that they have chosen to share their stories. I cannot even begin to imagine the courage it takes to admit to oneself, leave alone talk about it to the world. Especially considering how shy and socially unconnected aspies are. Kudos to you and I look forward to reading all your posts. Hi, I can so relate to this. I’m almost 52 but have felt different all my life. When I was a small child my mother took me to the doctors because she thought I had autism, but back then of course they didn’t diagnose HFA/AS so that was that. My youngest son has Asperger’s, and through the diagnosis process I recognised myself. His psychologist hinted strongly that she suspected I was also on the spectrum. At age 29 I was hospitalised and diagnosed with bipolar, since been diagnosed with BPD too. I was sent to see a therapist a few weeks ago because of my depression and anxiety and on our second meeting she told me she thinks I have autism and have probably been misdiagnosed in the past. It all makes so much sense. She’s doing a full formal assessment on me, starting next week. I’ve done loads of online tests and score highly on all. It feels like a relief that someone is taking me seriously but it saddens me also that I have spent my whole life feeling different and not fitting in anywhere. Oh my gosh, it’s all so CLEAR to me now!! I’m female, 43 years old, lived with depression pretty much my whole life, and I began to wonder if I could have Asperger’s! I only just began researching this and taking the self evaluations, but I scored pretty darn close, and reading about everyone’s experiences solidifies my conviction that I am an Aspie, too. I am slowly beginning to understand why I could never keep friends, why I like to be alone, why I am so methodical and relate so well to animals and not people. Thank you for this site. I am not alone. Relief. Incredibly brave woman. I can relate to all of this. Finding this website is life saving. Literally saving my life. I am so gratefull. (F) 28, Scotland. just wanted to say thank you so much for craeting this website. i am 47 years old and exactly a week ago i came to the realisation i had AS / HfA. I read through loads of information on the net and…like so many of you..from this new perspective my entire life and myself suddenly made total sense..it explains EVERYTHING. am still somewhat reeling and trying to process it tho. a mixture of MASSIVE relief nad a host of more difficult feelings. of all the info i have looked at ..this has been by far the most helpful. right from the initial paragraphs which served to remove the last shreds of doubt in my mind…you articulate so well the autistic way we doubt ourselves that it just serves to confirm it further )…SO exhausting to be so relentlessly analytical. a massive thank you to everybody that has contributed – all of you …YES…i can identify with each and every one of you..not a single post that hasnt moved me. I am unsure as to whether i will seek formal diagnosis or not – certainly do not feel i need it to be sure i have condition ..i KNOW…but i really have got to a point where i need support and if a Dx gives me access to this then it would be worthwhile. I dont suppose there is much help or support available out there without a formal diagnosis? other than being able to talk about it here …in forum where people understand…no small thing at all…but really dont know if i have the energy or patience right now though to battle against poorly informed professionals and im pretty sure it WILL be a battle because my symptom picture.is so far out of some of the traditional / classic boxes. I’d like a formal diagnosis. I’ve told a couple of friends my suspicion but not my husband…not ready for that yet. He’s already dealing with a once active wife who now needs a mobility scooter to do the school run (I never learned to drive, three lessons and was terrible – and terrified). To be honest, he probably already knows, in some level. He knew I was bisexual before I ever did because whilst he read my body language, I was actually oblivious to that and to being flirted with. Oblivious, obsessive, OCD…these are terms he uses teasingly to describe me. He’s right! I need the professionals’ confirmation, even though I know. I need to be able to back up that knowing in certain official situations because intuition isn’t taken seriously by others. I’m discovering so much about myself and as a consequence, about my family, as what is relevant to me I often see in them, to a degree. I wonder about my daughter. If I can know myself better, perhaps I will be better prepared to help her, should she need it. Thankyou for this blog. I’ll enjoy absorbing it! It makes me doubt myself because everyone sees the ‘normal’ side of me- the bits that I have learned to keep inside and while they are smiling and chatting its churning away in my head. This particular friend also pointed out that I was the only one that hadn’t invited a myriad of people to my house for a get together and subsequently tried to arrange one. I actually wondered how it would feel if I slapped her for forcing it on me. I was furious, its MY house and you do NOT force your way in. I might as well have stumbled on to a conversation about her planning to break in and rifle through my underwear- the reaction would be no different. My house is my sanctuary, like my bedroom was as a teenager- no one could go in and I know Ill have a panic attack when people start moving things around. I cant stand people touching my things. A previous partner once had a mardy because I refused to let him drive my car. It’s my car. The hurtful comments thrown my way forced me to hand over the keys and I swear I had white knuckles all the way home. He also scraped it when parking which did nothing for my trust in him with my things. Anyway – my point is, people assume that seeing is believing and they expect you to be unable to function before they can believe it. I confided in my own mother and she changes the subject or walks off every time I bring it up. The next thing she will hear of it is when she sees a publically posted picture of me with my new bracelet (that I intent to wear) letting others know that I have Autism. Feels very cruel of her to ignore it! She wasn’t there for me growing up (long story) and I had to go it alone- is she really ok to throw away another opportunity to act like a mother? She posts things about how much she would do anything for her kids and its such a façade. Makes me angry. :( :( Come on diagnosis! It IS like coming home, a bit, Dominik! I’ve felt the same frustrations with the NHS. They gave me a trainee, who was nice, had a good bedside manner, etc – but was still a trainee. I have decades of compounded, co-morbid disease to attempt to fix. That’s quite apart from the general ‘processing the diagnosis’ re-calibration that’s going on. Asperger Syndrome isn’t a mental illness. It is a condition that brings with it an apparent 80% co-morbidity rate for depression. Let alone PTSD etc. Not everyone ASD is in this position. To those who are, and who may read this: chin up! Find out what you need to know, try to keep it rational and empirical as possible. Don’t accept incompetence in your medical practitioners. Remember, they are just human (or NT…) and need a little nudging sometimes. If you show to them that you are rational, it is fulfilling your side of the doctor-patient relationship. After that, it’s up to the doctor to, er, be a doctor! Unfortunately resource-allocation is politicised. I believe they should make it illegal to lie in the course of public duty about this. You must impress it upon them, if you HONESTLY feel that a diagnosis would make a big difference to your mental health, or even, as in the book I refer to in my nickname, PHYSICAL health. Make it harder for them to ignore as an honest doctor (assuming they are one!) and they should be more sympathetic… Good luck! I was formally diagnosed of having Asperger’s Syndrome in March 2014.I’m 36 Years Old. It wasn’t until I began researching AS that I realised that Neuro Typical people naturally interpret facial expressions, understand implied conversation and generally can read between the lines. I’d always guessed what people meant as I found conversation both difficult and somewhat exhausting. People always commented that they respected my directness, I now realise I don’t have, nor do I want, the ability to be any other way. I always felt “different” to other people and when I received my diagnosis it come as a massive relief for me, almost an awakening. I now realise that it’s “normal” for me to find small talk uninteresting, pick up on details and remember them, only to be told “I always have to be right”. I also now understand how I can frustrate people. I understand that I frustrate people because I tend to interpret everything that they say exactly, which to me makes perfect sense, but to a NT person I can see now why they would see that as me being awkward. I have always found relationships as “a struggle” as I can come across as cold and insensitive,particularly as I tend to analyse everything in the same way, from an argument to fixing a broken shelf, without emotion and “mechanical” in my thought process. I now realise that it is me who is perceived as being different, but I’m okay with that, I can’t after all be anything else but who I am and I certainly make no apologies or expect any allowances for that. I am a former soldier, now business owner and the Person who diagnosed me said that there is little doubt that if I didn’t have AS I wouldn’t of achieved half of the things that I have. My diagnosis has provided me with answers to unknown questions, for me it has only been positive. I can understand though how it could prove to be the opposite to some people with AS. Elyse from Los Angeles, here. I was diagnosed at 15 by a top US authority on the subject (Dr. Ed Cook, University of Illinois) when my brother got his formal diagnosis as an Autistic. My brother was ironically conceived (so my parents tell me) as a sibling who would take care of his “retarded” sister. Ironically, I will end up being his caretaker. I believe that a the success of a person on the spectrum is all about upbringing and support. Many of us in this forum, I intuit, are the same age, and all grew up with parents and adult figures who did not understand the dynamics of our problems and felt abuse was the only way to “get through” and that we “deserved” all the bullying and humiliation. I also believe that the educational establishment of that time did not know what to do with us, the people in charge put us in the unfair position of being further marginalized. While the “system” in the US and UK seem more enlightened for kids today (though there are many new dangers they face, such as humiliation on Facebook), we’re fighting for our rights for our basic needs–to be financially solvent, to be treated with respect, to be allowed to live the life we choose rather than the life society feels we “deserve” as women “less than” our “typical” counterparts. Many of us, however, have a gift for expressing ourselves in writing–I started writing early on because it was the only way I could get people to listen to me or take my seriously. Later, it became my entree into a club that would never have me as a member. In college, it got me into numerous rock concerts and cultural events as an “entertainment writer” and co-founder of a campus paper (which I had to fight to get equal credit for among those who wanted to steal credit for themselves). Later on, writing and editing gave me the opportunity to travel the world, cover superb restaurants, learn about wine and culinary arts, interview celebrities and other things that have my former high school bullies in awe. On a deeper level, it got me positive recognition and a structure of life I could control, and a sense of control over relationships I did not have working “typical” l 9-to-5 job. While there are people out there who still try to sabotage what I have achieved and what I can achieve in the future, and my quirkiness still gets me in trouble with other writers, my goal–even with a lot of losing battles–is to never let the haters win the war. I am a product of being an ASPIE at the wrong time in history, but I am not my disability. We need to combine our intellectual skills together and keep up the fight. I have tried for about a year now to get a diagnosis of aspergers. Everything I try seems to make things worse rather than better!! I think my sons also suffer from aspergers. It seems no one is taking it seriously!! My eldest son was put into a school support group for children that are ‘slow’ – yet he is top of all classes? It made his life even harder at school rather than better. My younger son is labeled as ‘disruptive’ and yet I think he is just frustrated. He finds things too overwhelming. Myself, I have been misdiagnosed with depression and anxiety!! My G.P refused to take me seriously saying that as I made good eye contact I could not be an aspie!! I insisted on seeing a psychiatrist and he just laughed at me and discharged me. I have now a legal battle with my ex husband who is making my life hell…No legal aid and an elderly mother to look after!! The G.P just says I am stressed!! I would love to know how to insist that I am taken seriously as at this point it is imperative that I get some support. However, I know my problems have been life-long and, unfortunately, I’ve finally reached the point where I can no longer cope well at work (we’ve been moved to an enormous, vast open-plan office shared with hundreds of other employees and it’s like a new version of hell for me). However, if I have a proper diagnosis, my employer will assist me at whatever cost so I really do need to approach my GP. I just don’t want him confusing it all with anaemia and I need to be sure I can communicate it all. Your pages are going to be such a huge help. I know I’ll go blank in the head when I face my GP and will rush everything out as quickly as possible so I need to be prepared. I’ll be using your advice to prepare as best as I can. So this is just a very long-winded thank-you! I am undergoing the harrowing process of trying to get a diagnosis with a non supportive GP who has once again shafted me. The comment in one section of this site really struck a chord as it says not to be fobbed off by a GP referral to a general psychiatrist and that I have a right to be referred to a specialist. I did not know this was a right, so thanks for that, although I do finally know under the 2009 Autism Act she should have referred me for assessment without all the delays and nonsense she has put in my way – presumably because (and I openly told her this) she doesn’t want to spend any of her practice money on such assessment. Funny how defensive she was at that one. Thanks for this site – now I have found it I would like to visit as finally I think I have met some people who are a bit more like me. This paragraph made me cry. I’ve only just started reading about Aspergers. I always thought I was just a shy loser and a failure at life. 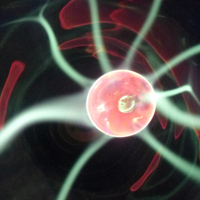 Maybe, maybe my instinct that I’m wired differently to other people is really true. Thanks so much for your blog. I have been reading up on aspergers and am starting to think I may have this, I am not formally diagnosed. I am 40 and have gone through my life feeling like I never fitted in, I have tried so hard to but never managed it. Until recently I thought I had depression as I never I imagined I could be autistic. I have been feeling like I just want everything to stop, I don’t want to kill myself, but it’s like I need a rest from the world. I was wondering if anyone else has felt like this? Yup! Stop right there world, I’m getting off!! I like the way you think and write – it is very similar to how I think! 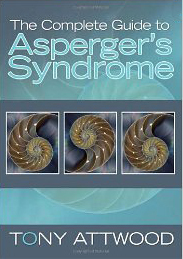 I was diagnosed with Asperger’s Syndrom at the end of September 2011. It is a big relief for me – to know that I am different and not just a strange person. Like you, I learnt to pretend to be normal, very normal: I have a family, children and a job and I learnt to drive a car at the age of 37! Puh, but driving a car is still a challenge but it works. But pretending to be normal has a big disadvantage: The others expect from me to be *always* normal. Knowing about Aspeger’s Syndrom, having read Tony Attwood’s book and reading and posting in forums online gets me the same feeling like you write above: It is like coming home! It is nice to be at home, isn’t it?